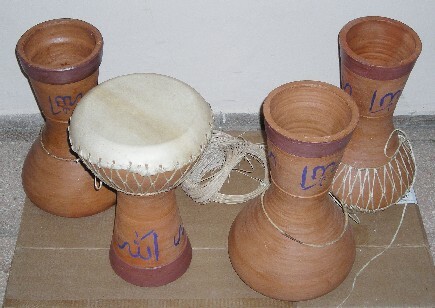 of arabic origin used throughout the middle east this percussion musical instrument is one of the oldest of arab origin. Constructed in ceramics and very fine goat leather. 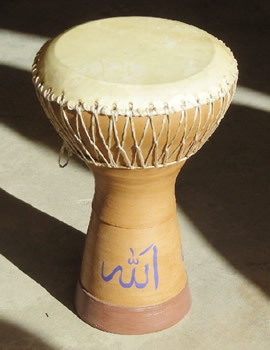 The darbuka is derbake or a percussion instrument of Arabic origin used throughout the Middle East. 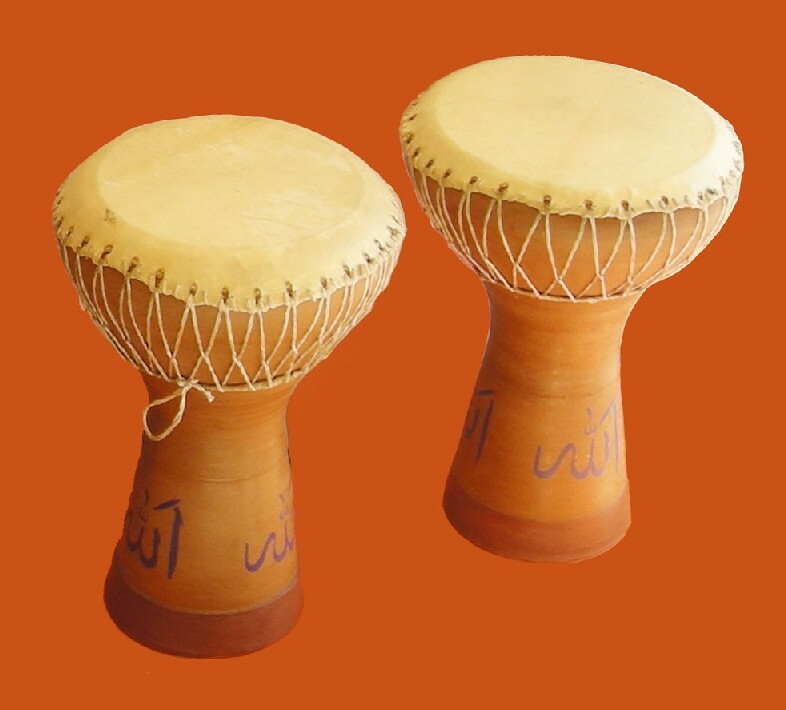 Also often called toballe (pronounced Tob-bale or tubal, especially in Palestine), Zarb and dumbek (or tombak), which derives from two main sounds that form the basis of his technique: a serious sound (dum) and acute (tac), plus the beat, which in Arabic is called Harakat and were named "tákatak". In Egypt it is called table, with a generic word to designate Arabic percussion instruments. The darbuka is a patch of a single drum-shaped glass. Originally used to chalk up the sounding board and goat leather for the patch, but is usually wood or metal used to manufacture them; it is now common use of fiber glass and plastic box for the patch. 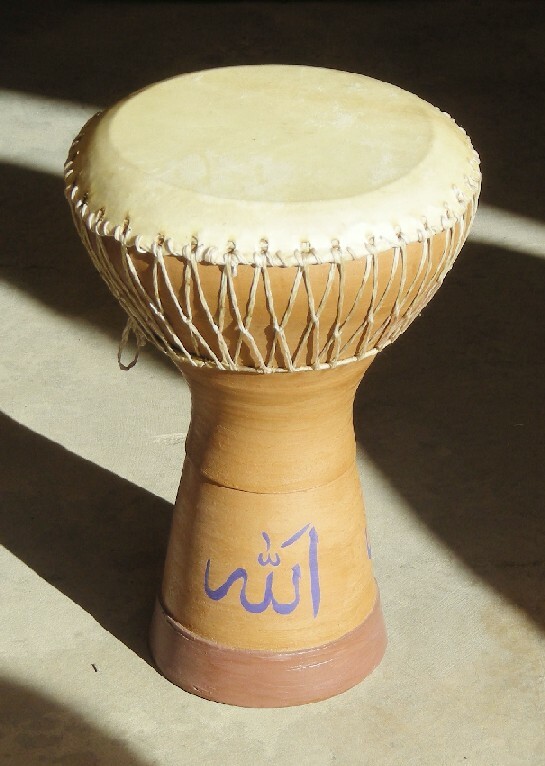 To run the darbuka is usually placed between the thighs or under the arm, used to touch the fingers and palms. It has a very limited tonal range, but in countries like Egypt or Turkey has reached a very high level of virtuosity to her. 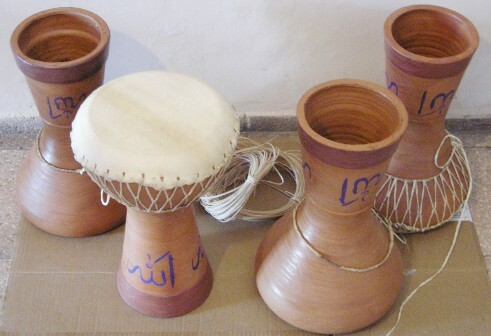 The origin of the darbuka dates back to ancient Babylon, but has spread widely, even to the Balkans and North Africa. In Arabic music is one of the most used. Usually accompanies the steps in the Dabke.